Dave Kinsey is an author and small business owner. His primary occupation is operating Total Networks, an IT consulting and outsourcing firm that he runs with his wife Stephanie in Phoenix, Arizona. In this capacity, Dave serves on a technology advisory group for The State Bar of Arizona. The Bar challenged Mr. Kinsey to help educate lawyers about Blockchain. The Blockchain Code is the response to that challenge. 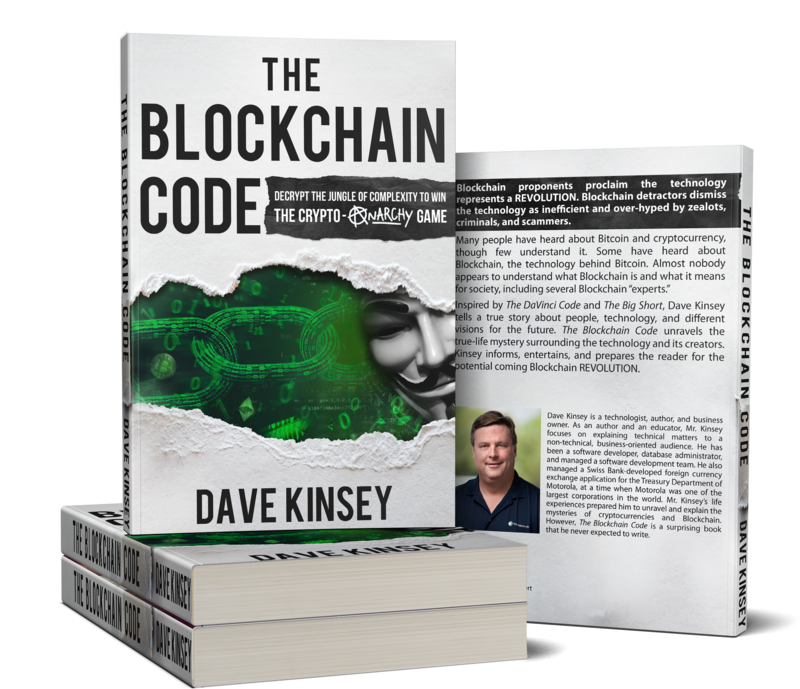 The Blockchain Code is a true-life mystery that became the focus of Dave’s writing activity for much of 2018. As an author and an educator, Mr. Kinsey focuses on explaining technical concepts to a non-technical, business-oriented audience. Earlier in his career, he was a software developer and managed a software development team. Additionally, in the 1990s he was responsible for managing a foreign currency exchange application. This system was developed by Swiss Bank for use by the Treasury Department of Motorola, at a time when Motorola was one of the largest corporations in the world. The system performed foreign currency arbitrage (hedging) analysis. Mr. Kinsey found himself in the right place at the right time, with life-long career and educational experiences preparing him to help unravel and explain the mysterious technology of Blockchain.